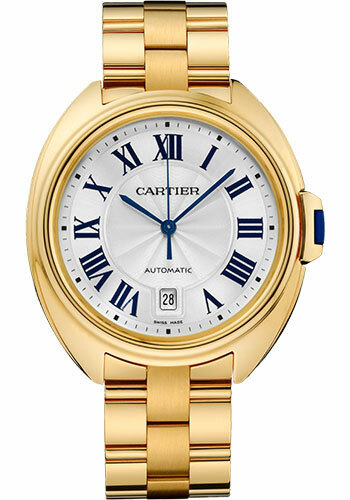 40mm 18K yellow gold case, 11.76mm thick, key crown set with a sapphire, sapphire crystal, silvered flinqué sunray effect dial with Roman numerals and blued-steel sword-shaped hands, caliber 1847 MC self-winding movement, 18K yellow gold bracelet. Water resistant to 30 meters. 40mm 18K yellow gold case set with brilliant-cut diamonds, 11.67mm thick, key crown set with a sapphire, flinqué sunray effect dial with blued-steel sword-shaped hands, calibre 1847 MC self-winding movement, 18K yellow gold bracelet. Water resistant to 30 meters.